Standing against this unimaginable threat is a small group, assembled under the strictest secrecy. Their best weapon is hulking former football star Perry Dawsey, left psychologically shattered by his own struggles with this terrible enemy, who possesses an unexplainable ability to locate the disease's hosts. Violent and unpredictable, Perry is both the nation's best hope and a terrifying liability. Hardened CIA veteran Dew Phillips must somehow forge a connection with him if they're going to stand a chance against this maddeningly adaptable opponent. Alongside them is Margaret Montoya, a brilliant epidemiologist who fights for a cure even as she reels under the weight of endless horrors. These three and their team have kept humanity in the game, but that's not good enough anymore, not when the disease turns contagious, triggering a fast countdown to Armageddon. Meanwhile, other enemies join the battle, and a new threat - one that comes from a most unexpected source - may ultimately prove the most dangerous of all. Both Infected and Contagious were great books (make sure you get Infected first.) 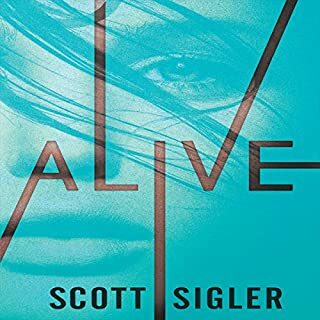 While many complain about the author reading his own work, one needs to understand Sigler offers all his novels as free podcasts on his website. Sure, at first I wasn't thrilled with his reading style, but it grew on me as the story progressed. The storyline is solid, and I had a hard time stopping it when my commute ended. If you're concerned about the author's reading technique then get the print edition, but don't miss this pair of books, because they're great! Sigler has added another fan to his cult-following. Listened to this book in one shot. As usual Sigler weaves a thick web and keeps you holding on to every word. Lots of effort made to keep the character voices interesting. His style of narration is a bit different than the typical audio book ... but I like it. We notice Perry has a lighter voice in this one ... hmmm I wonder why? (wink wink). Seems like there could just be a 3rd part to the story ... I am sooo waiting for it. This book is the equivalent of an exciting roller coaster ride. With each chapter, Sigler leaves you at the top of a huge drop, leaving you breathless with the anticipation of what comes next. I thoroughly enjoyed Infected and Contagious does not disappoint. 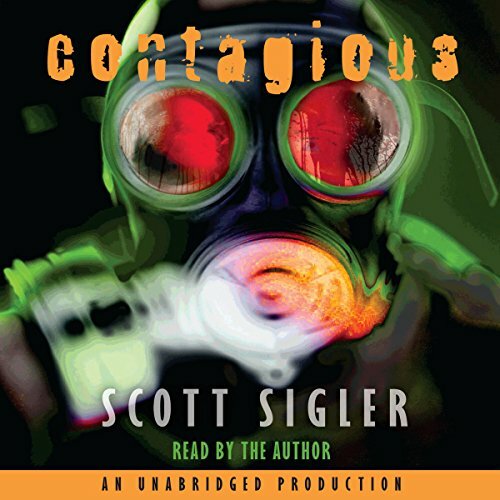 Sigler does a better job of both character development and narration with Contagious than he did with Infected. Make sure you listen to Infected first (another great listen), then hop on this thrill ride! Awsome...has made me a fan! 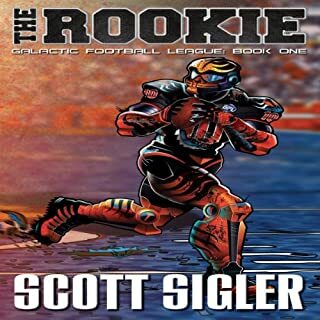 This may just be Scott Sigler's best book yet. 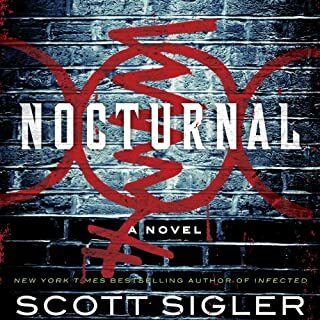 As always, Sigler's reading is inspired -- he puts so much energy and effort into the reading that you can't help but get caught up in the story. The characters for this book are engaging, and the plot is tight. While the book preceding this, Infected, wasn't my favorite book ever, Contagious takes the story to a whole new level. If you like sci fi, action, or horror -- this book is for you. I stayed up long past my bedtime listening to the very end of this novel, and it was well worth it. I loved this book. I didn't mind the author reading his material. This one takes you on quite a ride. I would recommend this one. On a side note if you like his work Earthcore, Nocturnal (if you can get past some of the character voices), and Ancestor are must listens. Read Pandemic and knew I liked the authors style. 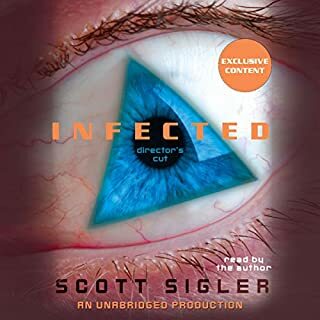 Picked up infected to start the trilogy from the beginning and it was worth it. Contagious was a ride from beginning to end...too bad it had to end. 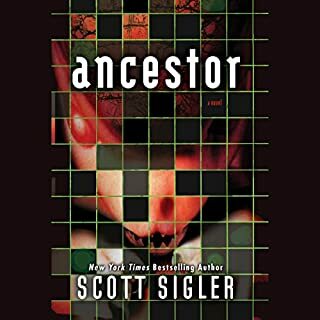 Scott Sigler has a great writing style...maybe because I'm from the Midwest and can relate to his wordplay. Truly recommend this book and all in the series. The authors other books and series are also fun rides! Very enjoyable, great voice acting. Great descriptive story. I might add the weapon at the end (no spoiler) and affects of the weapon had me thanking God, we do not use such weapons. A very good description. So much better than the first book "Infected"! This is truly a book where the sequel is so much better than the original. I liked “Infected” but it didn’t have a true story to me. This book is a great story and I really enjoyed it! Must read the first book "Infected" before this book. 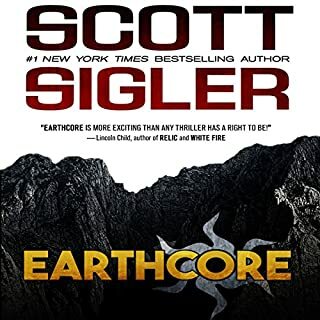 Overall I believe that Sigler did well writing these books. I really loved the research that went into his novels. Wow! I actually enjoyed the scientific and military aspect of the story. I think that the characters were creepy, and loved the way they played off each other. I did not like the "triangles" thought he could of come up with a better and thoughtful representation of these creators. Can't wait to read more from this author. Can't recommend this enough, I listened to the first book as a Podcast "infected" and I am buying this one. Great listen, every chapter leaves you desperately waiting for the next one! Less "horror" and more "disaster" movie than the first book. Scott has done a fantastic job building the characters and plot twists. His reading of the story is great too. I also loved the obvious amount of scientific research he has done in order to write the book. I thought that Infected was pretty good and the production very good. Basically if you liked Infected, you'll love Contagious, it really does take things to a whole new level. I found that there was a more Micro focus in Infected and then a very nice transition into a more Macro (big-picture) story-line with a healthy performance and development from the main stars of the story. Very much worth a listen. I absolutely love this trilogy. This one is my favourite and I love Siglers performance. Good to hear an author ready his own work! Really enjoyed it and your female voices!! Truly chilling. The only thing I didn't like about this book was that it ended. I have been waiting to listen to this since listening to Infected and it has been worth the wait. An incredible sequal which yanked at my emotions. The last 2 hours had me on the edge of my seat. I cannot wait to listen to Pandemic. A fantastic tale which sweeps along at a rate of knots. An outstanding level of detail lends the whole thing credibiliy, though it might be a little much for some. Interesting little devices help the narration draw the listener in, I'd happily recomment this audiobook to anyone. What did you like most about Contagious? Knowing Scott Sigler narrated it was pretty good. When PERRY killed his best friend. Pick up after book 1 this book takes you on a roller coaster ride of emotions as you see them change.